Poor compression, worn cam chain? My CB recently started misfiring with a sudden lurch of power around 4K RPM and unable to idle for long. ...and have now been adjusted. 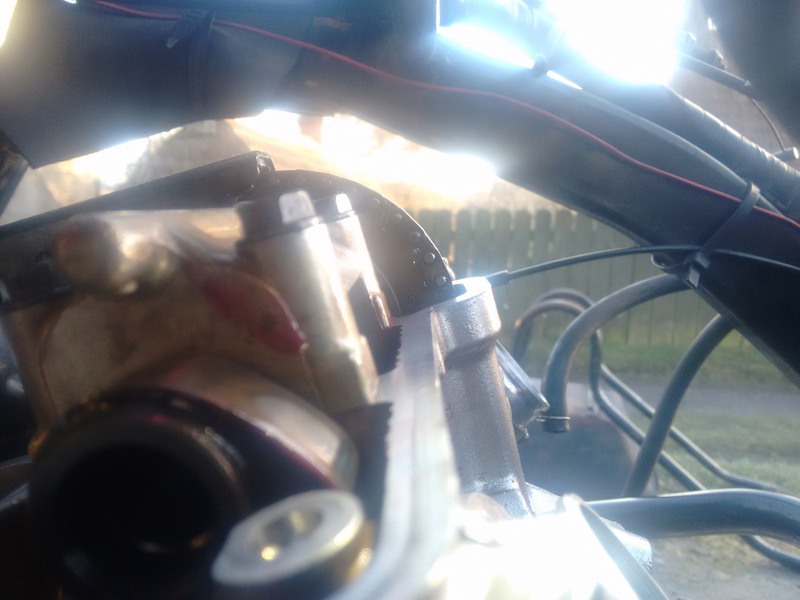 Compression is low at around 100psi on both cylinders, during the compression stroke there seems to be zero valve clearance on the inlet side and some air is blown back through the carb. Enough to blow the (slightly perished) fuel tap vacuum line off its spigot by the inlet. I think it may be due to a worn cam chain. 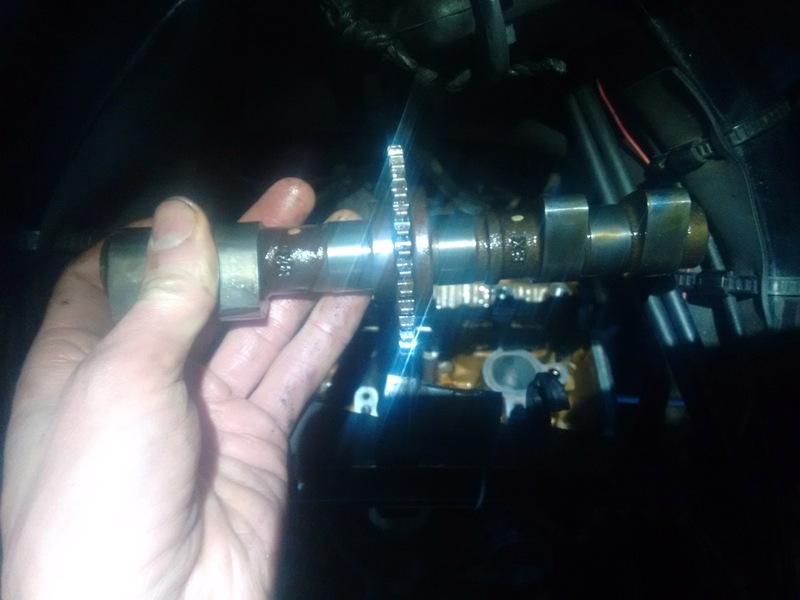 While the 'O' in the inspection is lined up the cam shafts are half a tooth out of alignment, probably not enough to have slipped a whole tooth. 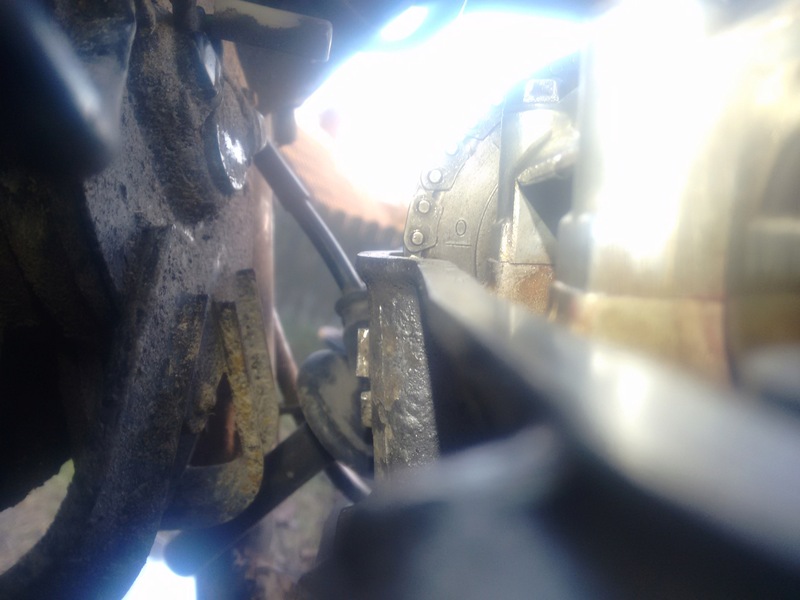 The cam chain tensioner is installed and has travel left to take up additional slack. The bike has done 54,000 miles. Re: Poor compression, worn cam chain? I will check if the marks on the cams align with top dead centre with a pencil through the spark plug hole, and report back. The marks on the cams have always been about half a tooth out on every bike I've done the valves on (including the CB) so I doubt that's the problem. 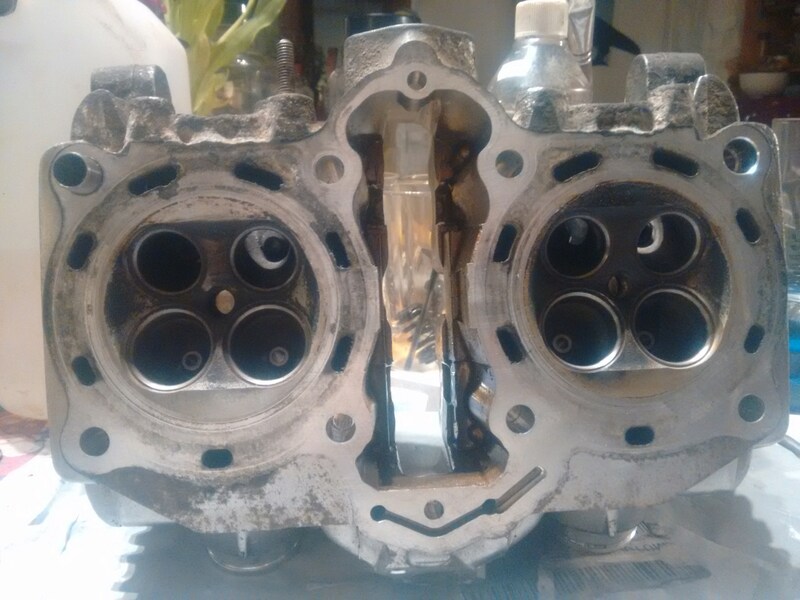 Obviously this means someone might have put the engine back together half a tooth out (if they didn't make a note of the precise positions before taking it apart) which would effect the running a bit but shouldn't lose compression. 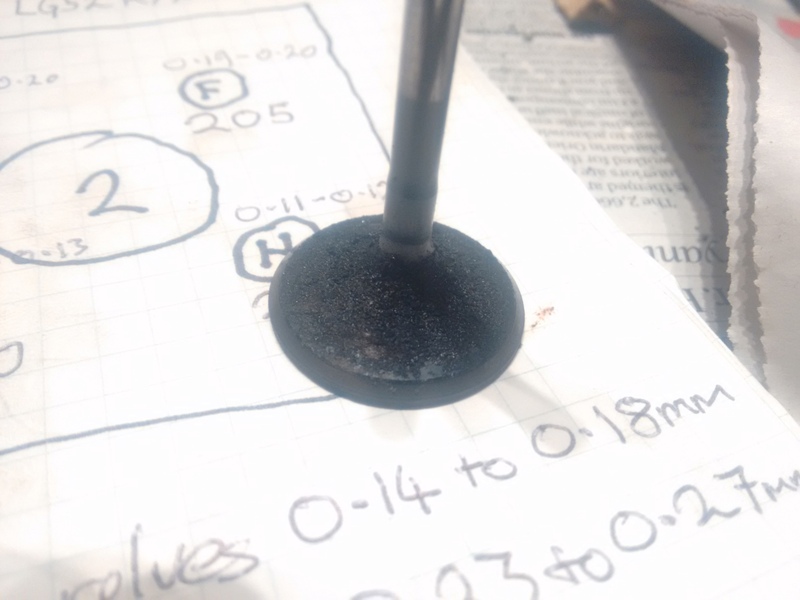 Have you tried testing the compression with a bit of oil in the cylinders to check the rings? Did you have a wide open throttle whilst doing the compression check? TDC aligns perfectly with the timing mark in the inspection window, it's very good to know that the marks on the camshafts can be slightly out. My test method is flawed, the compression tester has been sealing poorly with the cylinder head. With a different o-ring the seal seemed OK and read 150psi, but is probably still inaccurate. Not least because I forgot to open the throttle. Compression tests to be continued. Started the engine, only the right-hand exhaust downpipe gets hot. The left-hand downpipe gets warm after a while but much cooler than the right. Tried some old spark plugs, no change. Spark can be seen on each side, can't judge if it's a strong spark or not. The ignition coils are within the resistance specifications. It sounds like one cylinder is firing consistently at idle and the other fires once every few seconds. Cleaned the left-hand carb again more thoroughly, no sign of blocked passageways or jets. Have not tried the engine again since cleaning. Is it normal for a small amount of air to be blown back though the engine inlet once every four strokes? Not really as it would disrupt the operation of the carbs and throw all the settings out. Hi there Hearnie, how's Whitby, it's a long time since I was there. I'm from Guisborough and used to work on the telephones over the moors and along the coast. Miss Fortune's kippers!! 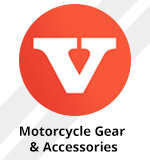 Have you checked for an air leak on the left carb, i'm thinking perished vacuum tube. Also setting of air screw, mine are a pita and I'm still not sure if they're right. What does the plug tell you ? Is it black, sooty, wet, same as the other? It might give you a clue as to too much/not enough petrol/air. Good luck with it! Dave.